Let’s face it. Insurance is a pretty boring subject. Policies, providers, underwriters, covers, indemnity, it’s all so dull and enough to put you off getting it sorted. That’s where Camper Care Insurance is a bit different. First up, they work hard to make insurance quick and simple and just a little less tedious. And they don’t take themselves too seriously, which makes a big difference when you want to talk with one of their team members because you can actually have a normal conversation without feeling like you’re being bamboozled with jargon or caught out on your cover, clauses, and contradictions. The team at Camper Care also knows your RV is more than just a vehicle. It’s your time with family and friends, it’s your dream lifestyle realised, it’s an investment in your future. They know that protecting your RV also means protecting those future happy memories and the lifestyle you’ve worked so hard for. And that’s pretty exciting stuff. Sure, they have all the boring stuff sorted, too. They’ve got top-notch insurance security in Vero Insurance (Vero leaves the day-to-day policy creation and claims paying to Camper Care) and their policies are comprehensively comprehensive (which means they insure your RV, RV attachments, and contents all as one). You might also be interested to know that Camper Care is New Zealand’s leading RV insurance specialist. Camper Care is all about RVs—from snug two-berth campervans to six-figure apartments-on-wheels and everything in between. They’re part of Star Insurance Specialists, who create and manage specialist insurance policies for specialist vehicles (they also sort insurance for motorbikes, classic cars, and prestige cars). 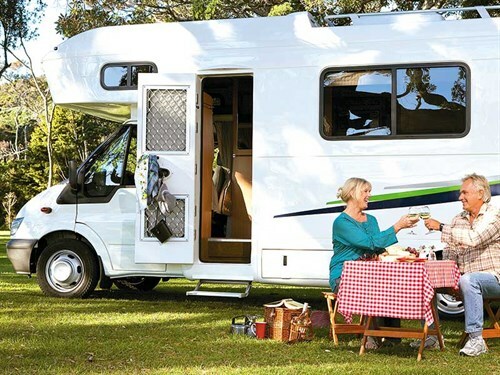 As motorhome and caravan insurance specialists with in-depth industry and RV knowledge, Camper Care provides the most comprehensive, customisable RV insurance in New Zealand. They’re pretty proud of the attention to detail and extensive coverage that comes standard with their RV insurance policies. Your RV is unique and so are you. And therefore, so is your policy. In fact, just like snowflakes and fingerprints, no two policies are the same. Camper Care can craft a unique policy just for you when you talk to them. Shortly you’ll be able use their website to manage your policy, lodge a claim, see the progress of current claims, and add or remove specific policy benefits whenever it suits you. Camper Care is a brand of Star Insurance Specialists, which is a second-generation family-owned and operated New Zealand business. Their experienced team is based here in New Zealand, and they’re right on the ball when it comes to looking after claims. In fact, they sort everything to do with policies—from initial premiums and policy conditions through to managing, assessing, and approving claims. And that saves you time, money, and worry, as you’re only dealing with one firm. Oh, and if you prefer to use a broker, that’s good too, as Camper Care is available through insurance brokers throughout New Zealand. It’s a rapidly changing world out there, so if you’re not at the forefront of the latest technology and innovations, you’re probably three years behind. Star Insurance Specialists, which Camper Care is a part of, is continuing to set the benchmark in the insurance industry with world-class policies that evolve with the changing face of vehicle technology and market expectation. As part of that drive to do things better, Star Insurance Specialists has created Star Labs, where innovative ideas are trialled and tested. These ideas are helping push the boundaries and raise the bar (which is just a fancy way of saying these guys aren’t resting on their laurels; they’re constantly moving forward. A bit like an RV). One of the latest innovations currently being trialled through Star Labs is Telme—a new technology specifically for motorhomes that allows your insurance to be based on the actual distance you travel, rather than an average estimate. It’s pretty clever and a great example of how Camper Care is constantly looking at how to do things better. Camper Care is also a founding brand of the Junction Collaboration group, which is an independent body of leading businesses who collaborate, prototype, and put new ideas to the test. Other members of Junction include RV Super Centre, Maui, TrailLite, Bauer Media, Kiwirail, Top10, Mighway, and OTBT. 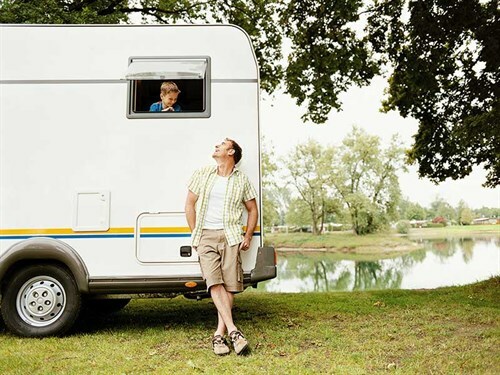 So if you own a motorhome, caravan, fifth wheeler, converted bus, campervan, or pop-top and you’re thinking about insurance (which you definitely should be), give the team at Camper Care a quick call on 0800 250 600 or find out more about why they’re the leaders in RV insurance at campercare.co.nz. 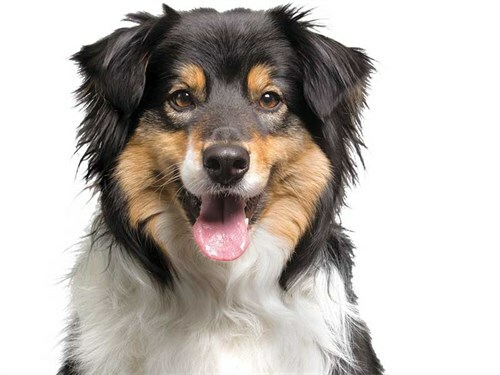 MCD recently caught up with the best-looking of the Star Insurance Specialists crew, Bailey the border collie. Eight-year-old (that’s 51 in human years) Bailey is the talent behind Camper Care’s advertising campaigns and (almost) never misses a day in the office. We asked him a few questions about his average workday. What drives you to come work each day? That would be Nick Baker. He’s the CEO of Star Insurance Specialists and also my driver. Lots of meetings. I actually love meetings. Unless I’m in a meeting, then I want to leave. And then come back in again. Sounds busy. Any other challenges? There was that one day when Nick left me at home for the day. We’ve discussed it, and it won’t happen again. Anything you particularly love about working in insurance? Insurance is boring. But I love my ball! And also treats. A combination of the two works really well for me. Could you please throw my ball? Do you have any big projects coming up this year? Oh lots of commitments. The Hamilton motorhome show is pretty big. I have a full schedule of pats, cuddles, and looking cute to manage. I’ll also have my ball there if anyone is interested. This year is shaping up to be a big one for the team at UCC in Christchurch.